Save on just about anything! Exclusive discount shopping network where you can save on just about anything! Members are entitled to Cash Back rewards each month off ONE of the below three categories. Simply download and fill out a form carefully. Rebates will be granted for the amount on the receipt or invoice you provide as a proof of purchase with a maximum amount of $25. Cash Back rewards will ONLY be accepted once per month, that is one in every 30-day period. Members may alternate rebate categories each month. This promotion is available for a limited time only. Get $25 Cash Back Off ANY Home Service! With grocery prices at an all time high, every little bit of savings helps. 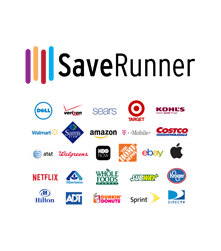 As a member, you are entitled to get $25 cash back off your purchase at over 400 major grocery stores across the U.S. Click here for a complete listing of eligible stores. 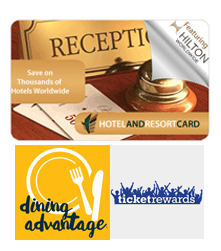 Save big on hotels, dining and entertainment! Claim a $100 Hotel and Lifestyle eGift Card to help you save on your next vacation at Hilton, Marriott, Hyatt, Starwood and over 100,000 more hotels worldwide. Each room rate has an "allowable discount," so you may not be able to use the full amount of your voucher on some rooms but your eCard never expires and is reloadable at a discounted rate. You can also apply your $100 towards discounts at restaurants, on shopping and entertainment. Members are entitled to a $50 Discount Shopping Reward you can use to save money on just about anything you buy, including 10% off gift cards and deals on shopping, services, travel and even movie tickets. You must request your account information by clicking on the below button. Don't shop at Amazon when you can get 10% off and FREE shipping on the products you want. Plus, you can buy now and pay later with up to a $5,000 spending limit on the best brands and the latest electronics, appliances, home furnishings, jewelry, watches, fashion, beauty, automotive and sporting equipment and more. Use promo code ALLONSALE at checkout. Cannot be combined with any other promotions, coupons or discounts. Does not apply to any Apple products or gaming systems. You and your family can save up to 75% on prescriptions! The American Savings Pass Card in your Welcome Letter comes with a FREE prescription discount benefit. This is not insurance. It just allows you to save up to 75% at over 60,000 pharmacies across the United States. The Card is pre-activated and members of their family are also eligible to use the Card. If you happen to lose your card and would like to download a new one for future prescriptions, please click on the link below. 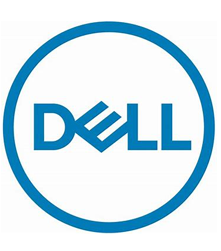 Subscribers can save up to 30% on Dell products and accessories and will enjoy the guaranteed lowest price. Plus, you will also enjoy FREE Shipping. So shop confidently with free shipping and easy returns on PC's and electronics, plus the new 30-day Dell.com price guarantee (from invoice date.) They'll even waive the restocking fee. Your discounts will be applied to your order during checkout. Just click and print coupons for your favorite products, on demand and at your convenience. Members have unlimited access to one of the largest inventory of coupons on consumer-packaged goods through SaveRunner. Valid anywhere they accept coupons, you'll find great deals on the products you buy to make your grocery bill more affordable. Get up to FIVE magazines with your active service! Customers will also receive up to 5 FREE popular magazines, automatically fulfilled one at a time with each full month of active service. We will custom-tailor your selections from our inventory of the country's most popular magazines like Martha Stewart Living, Rachel Ray Everyday, Better Homes and Gardens, Field and Stream and Men's Health. Check your Welcome Letter for a list of the selections you will receive. Hassle-FREE redemption of your gift card and cash back rewards! To claim your gift card reward, click the below link and follow the instructions carefully. Keep in mind, you have 30-days from the day you ordered to redeem your rewards. If you don’t have Internet access, call 866-289-4618 if you wish to receive the forms by mail.